The town of Karlovo is situated in the northern part of the Karlovo hollow. The historical life of karlovo started with a number of settlements, whose fate got lost in the darkness of the past. The Turkish feudal lord Karlazare lala Ali bey (Karla bey), who came here in the lead of the first Turkish immigrants, gave the town its new name – Karljova, i.e. snowy field, because when he arrived the field was covered with a lot of snow. In 1485 he built here the first and oldest mosque – Kurshum mosque. A fine and solid building, named after its lead roof, even today the mosque still stands erected in the middle of the town as a remarkable monument of the building art of that time. 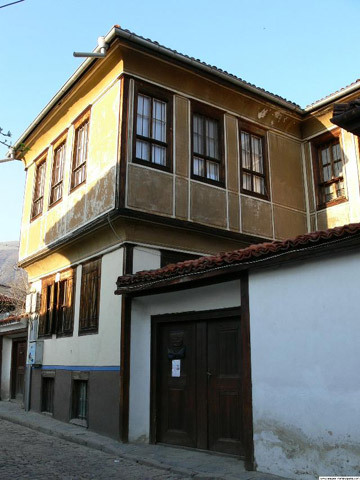 Many houses with architecture from the period of the Revival have been preserved completely in the town: Alexandrovata, Sinyata house, the yard of Rada N. Zoeva with the murarls, Beliya yard. An attraction for the visitors is the waterfall Suchurm – flying water, “the most wonderful thing in Karlovo”, as Rajko Popovich puts it. Karlovo was well-known as a centre of rose production and proccessing of rose blossoms long before the Liberation. The beautiful nature and architecture and the local rose industry arouse the interest and are attractive and to the liking of Bulgarian and foreign tourists. Each year, on the first Sunday of June, Karlovo becomes a centre of festival events – folklore, songs, dances… The day of the rose is celebrated then.